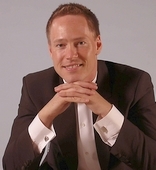 Kasper Beck Hemmingsen has been the conductor of UAK since fall 2008. Kasper Beck Hemmingsen studied Choral and Ensemble Conducting at the Music Academy of North Jutland with Søren Birch and Jørgen Fuglebæk. He took his master degreee in conducting in 2003. He has also studied musicology at the University of Aarhus. He has participated in choir conducting courses and master classes under, e.g., Anders Eby, Alice Granum and in orchestra conducting under Dr. William la Rue Jones. Today, he is Teaching Associate Professor in choral conducting at the Section of Musicology, Department of Arts and Cultural Studies, University of Copenhagen, and he is beside that an extremely active choir conductor. Every week, he conducts choirs on many different levels and with different backgrounds, both youth-, womens-, mens choirs as well as mixed choirs. He is a permanent conductor for the Chamber Choir Carmina and Vokalensemblet Swe-Dames, but also likes to join projects such as the 2008 OPERAkompagniet "Dido and Aeneas" by Henry Purcell. He has previously guest conducted both the Vendsyssel Symphony Orchestra and the Nordjylland Amt Symphony Orchestra, and has also collaborated with the Aarhus KammerOpera as a conductor. In his spare time, he is a board member of the Danish Choral Conductor Association (Foreningen Danske Korledere).